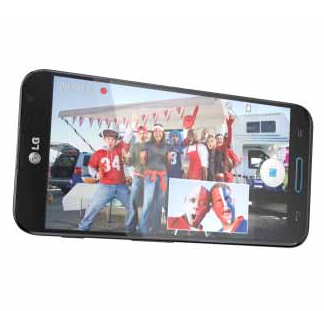 The 5.5-inch, LTE-toting LG Optimus G Pro is now available for purchase at AT&T. Packing a Qualcomm Snapdragon 600 quad-core processor, 2GB of RAM, a 1080p display, and a 3,140mAh battery, the G Pro's no slouch, and, as we found in our review of the Korean version, stands up well against competitors like the Samsung Galaxy Note 2. The Optimus G Pro can be picked up for $200 on a 2-year contract, $450 on a 1-year one (an option that makes the least sense financially), or $550 without signing your life away. 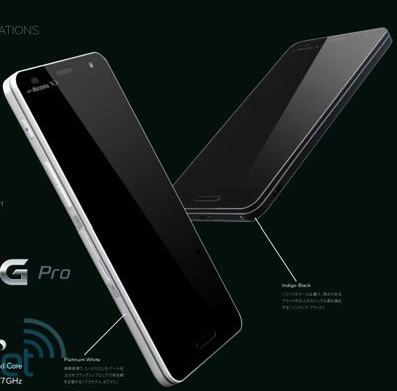 A couple of days ago, we found out that LG's latest powerhouse, the Optimus G Pro, is going to be exclusively available on AT&T in the United States. 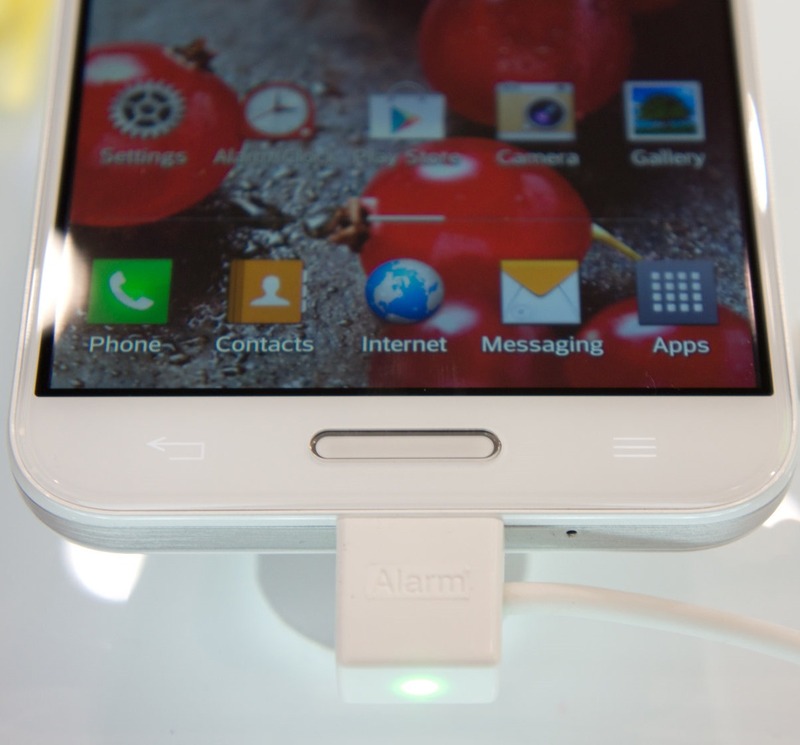 We had our eyes on this device ever since David reviewed the Korean version and found it "decidedly superior to the Galaxy Note II in many ways." The 5.5" 1080p device packs a competitive Snapdragon 600 clocked at 1.7GHz, 2GB of RAM, 32GB of internal storage, 13MP/2.1MP cameras, and a 3,140mAh battery. We've known about LG's NYC event that's happening today for, well, a while now. 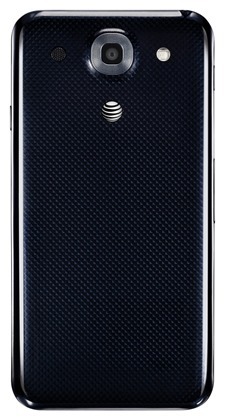 We've also basically known that it's going to be about the Optimus G Pro here in the US, and that the device would likely be coming to AT&T. The G Pro will hit AT&T shelves on May 10th for $199 with a two-year agreement, but if you want to secure this next-gen behemoth before that, pre-orders will start on May 3rd. 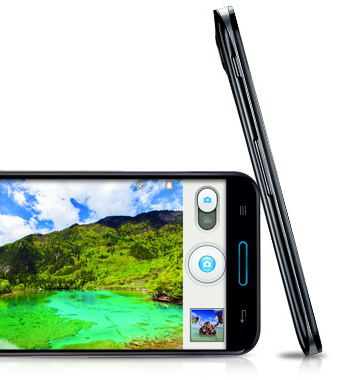 LG has an event coming up in New York City on May 1st. That is exactly six days from today. And do you know what it's going to announce? 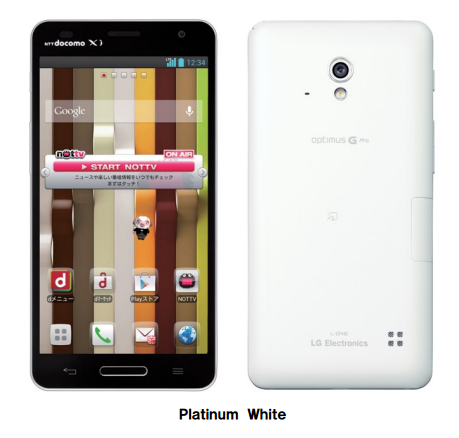 The Optimus G Pro for the US. But if just knowing that isn't enough, pictures and full details of the device have hit the 'net today, leaving essentially nothing for LG to actually announce next week. 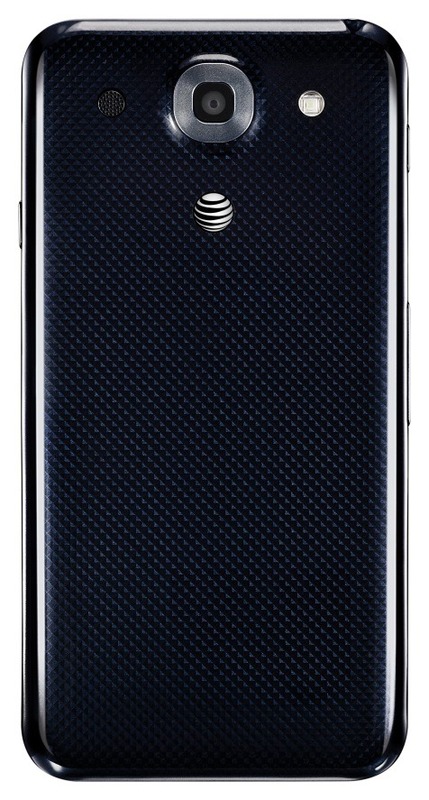 So, there's the phone, sporting full AT&T branding. 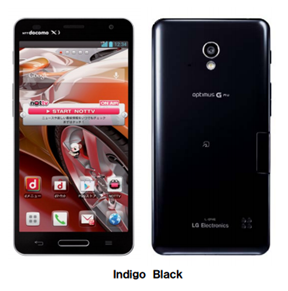 When we first caught a leaked glimpse of the Optimus G Pro in 5.5" form, Note II comparisons were immediately drawn - the G Pro really is the Note's not-so-long-lost brother. This morning, at LG's booth at MWC in Barcelona, we got some hands-on time with LG's latest and largest handset, and overall, it impresses. 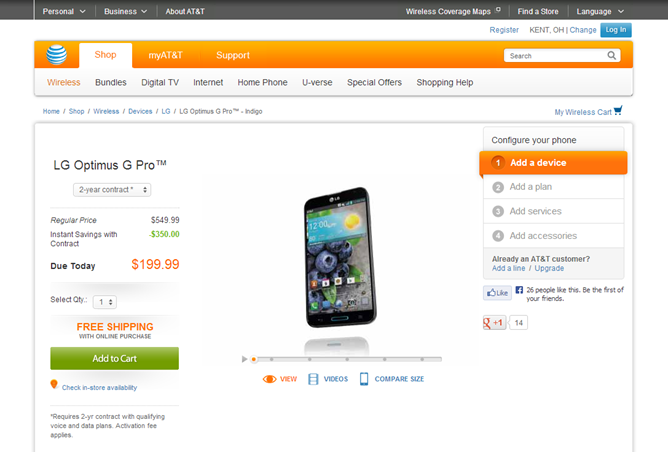 The Optimus G Pro is running Android 4.1.2, and it's by far the quickest non-Samsung handset I've ever used. 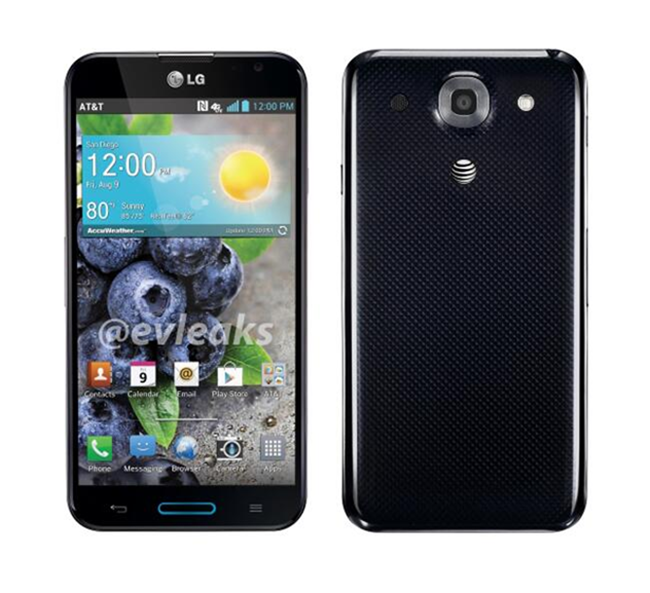 Oh boy, LG. 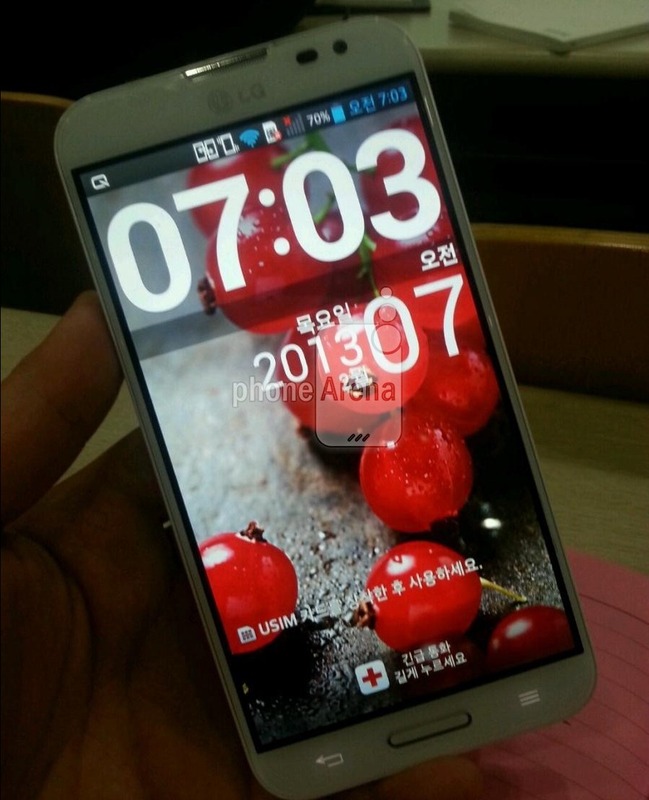 I don't know if you're going to be able to live this one down: PhoneArena just leaked a couple photos of the allegedly-upcoming Optimus G Pro, but it's not the one you've already seen before (headed for NTT DoCoMo in Japan). Nope, this is a super-sized 5.5" version, and the leaked shot of it out in the wild is going to draw a lot of attention, if only for visual comparisons. When the specs of the supposed LG Optimus G Pro leaked last week, it seemed almost too good to be true – like one of those fanboy wishlists you see populating forums and sub-Reddits across the web. 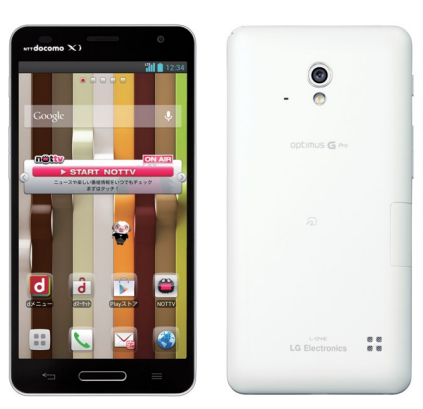 Now Japanese carrier NTT DoCoMo has announced the device as part of its DoCoMo Next 2013 Spring lineup, and the reality matches the leak quite well. The LG Optimus G Pro will be following the trend of big and beautiful screens.